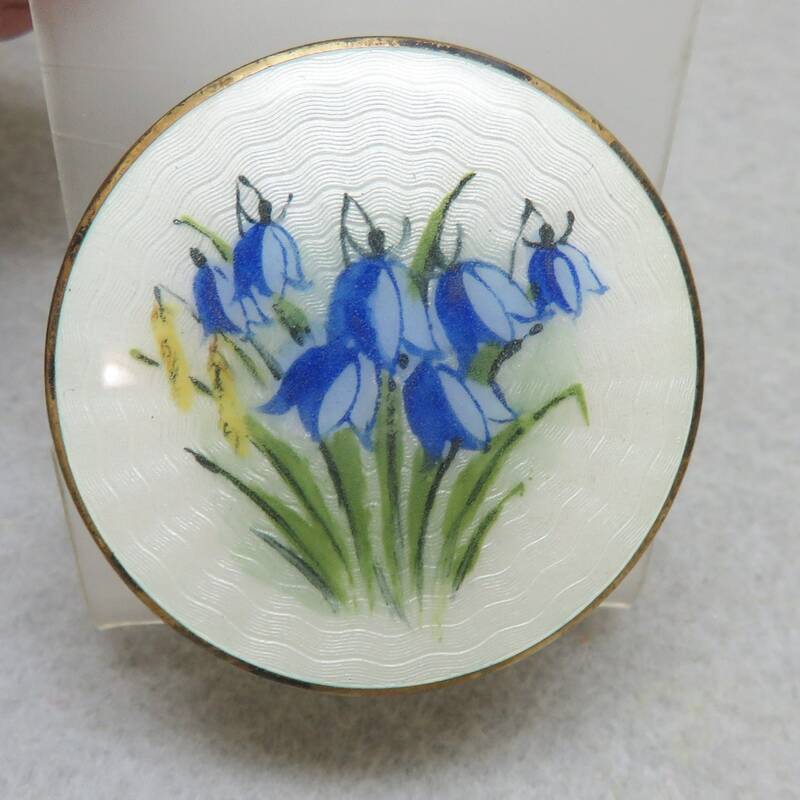 This absolutely lovely guilloche enamel brooch is gold over sterling silver in a simple circular brooch. The brooch is in excellent condition and measures in at 1 5/8ths inches wide and tall. The enamel is white with blue snowdrop flowers. 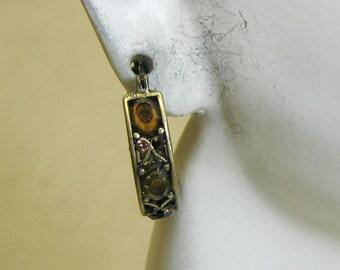 The back has a simple C clasp and a hinged stem pin. It is marked, NORWAY 925 for sterling. This will arrive in a lovely gift box for easy gift giving.